My mom got me these sardines as a little treat. Because those are the kinds of gifts we give each other 🙂 . So I made this niçoise inspired salad. 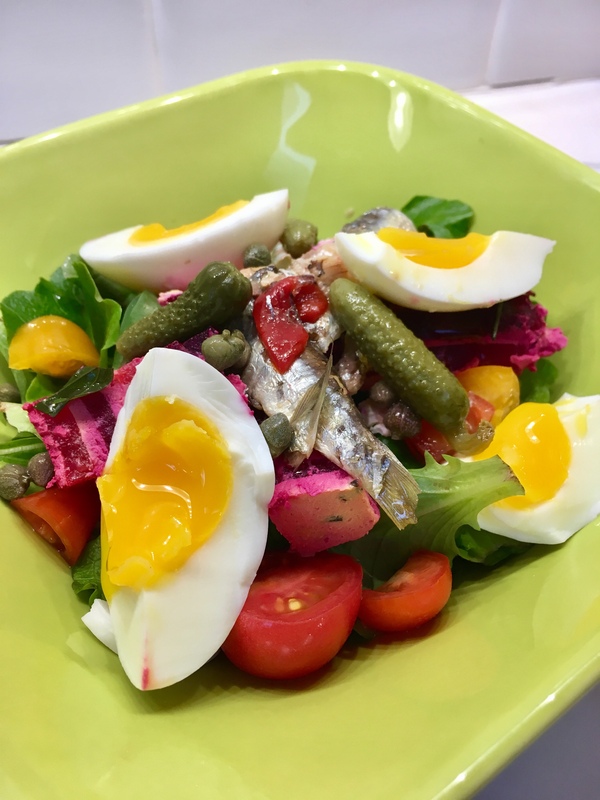 It’s not really a niçoise because it doesn’t have olives, green beans or tuna but I replaced those with capers, cornichons, beets and sardines. top with capers, cornichons and tomatoes and dig in!